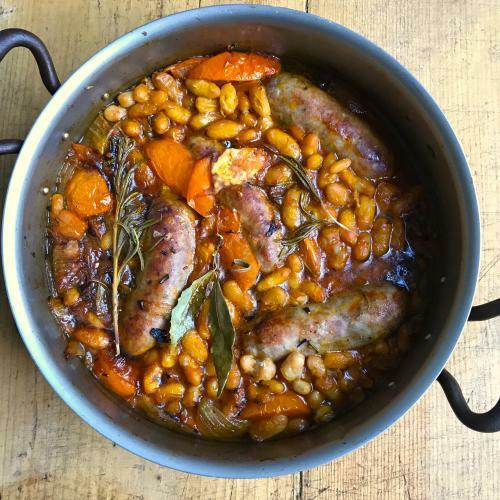 Baked sausages and beans with harissa and tomatoes for Bonfire night. 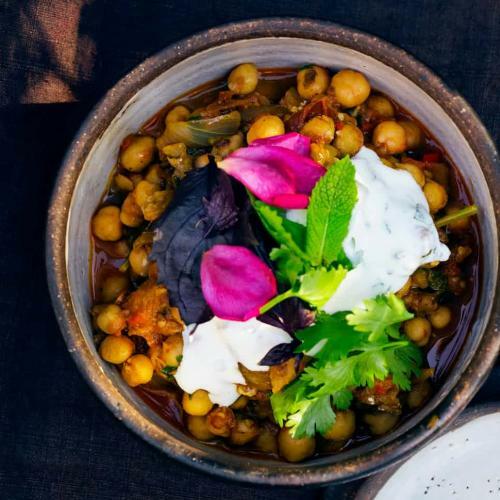 Softly spiced aubergine with chickpeas, tomatoes and yoghurt. 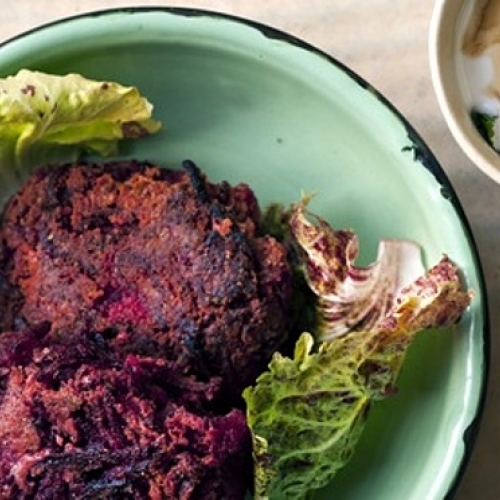 Little cakes of canned chickpea and raw beetroot fried till crisp. 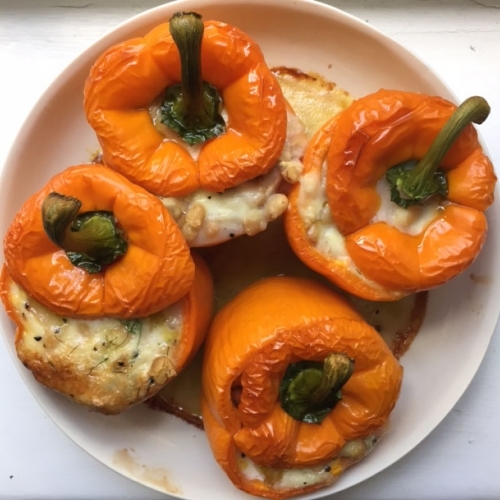 Roasted peppers filled with cannelini beans and blue cheese. 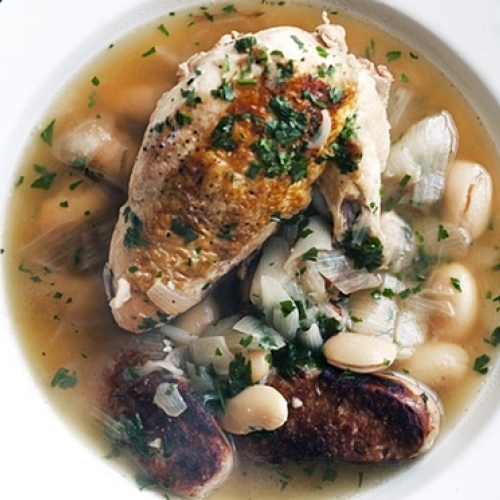 A quick stew of chicken, sausage and butter beans for a cold autumn evening. Dumping squash filled with tomatoes, haricot beans and basil. 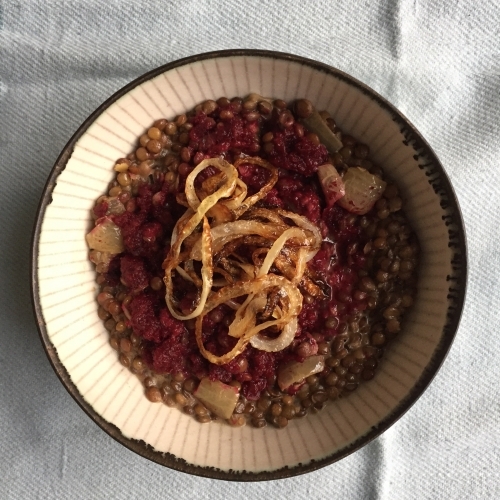 Brown lentils, beetroot, caramelised onions. Lightly sliced lentils, sweet beets. 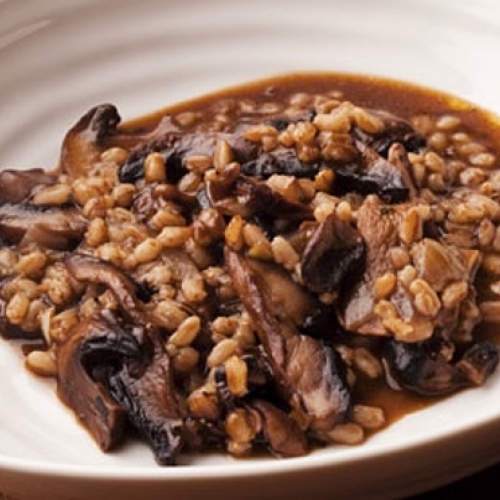 A dish of spelt, assorted mushrooms and onions for an autumn evening. 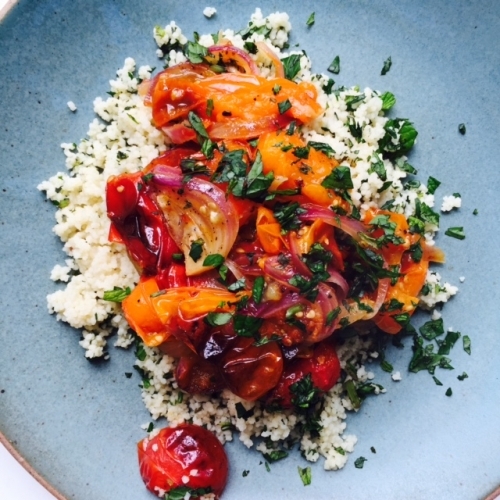 Steamed couscous, tomatoes, onions and a trickle of harissa paste. 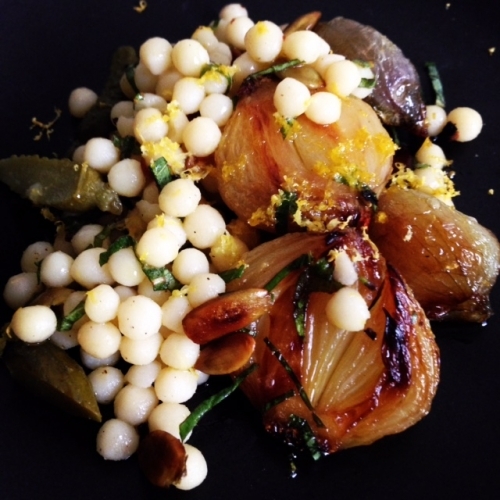 Pearl couscous with roast shallots, mint and lemon. 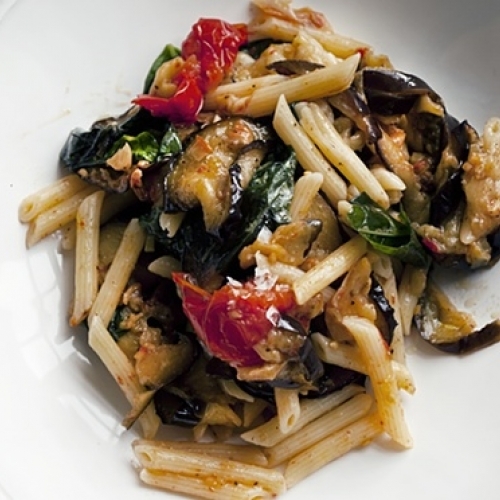 Pasta with Aubergines and basil. 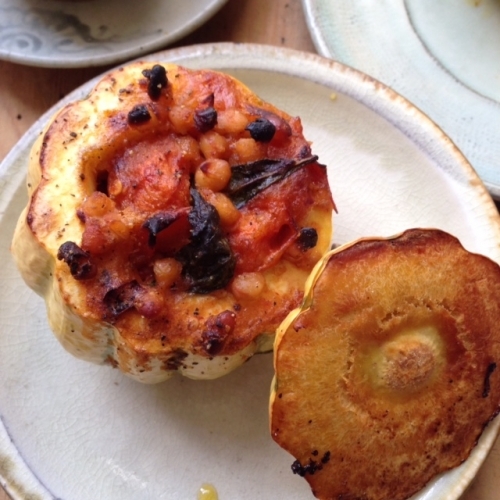 Quick, late summer or autumn dinner. 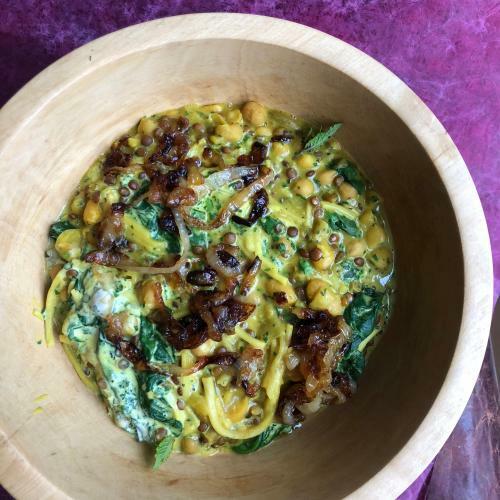 A thick soup of noodles, lentils and soured cream. 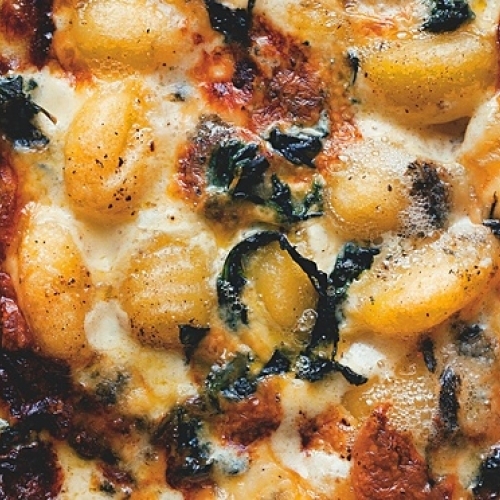 Baked aubergine and tomatoes tossed with penne and basil. For the coldest autumn and winter days. 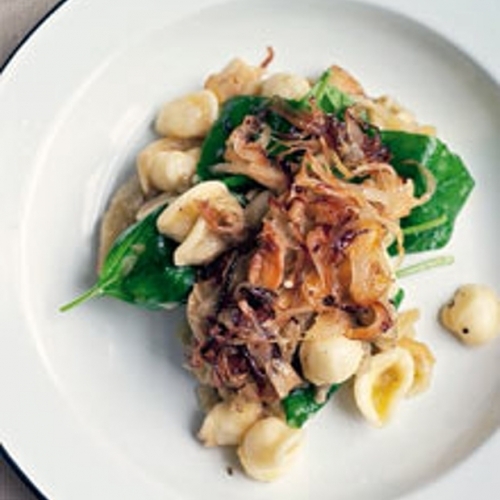 A gratin of gnocchi and blue cheese. 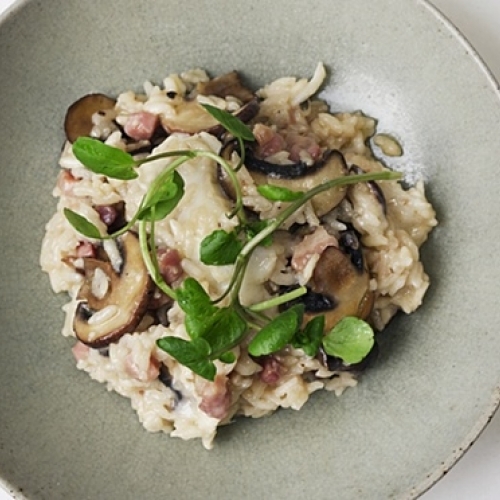 An easy 'oven' risotto of mushrooms and Parmesan for the times you are too tired to stir. 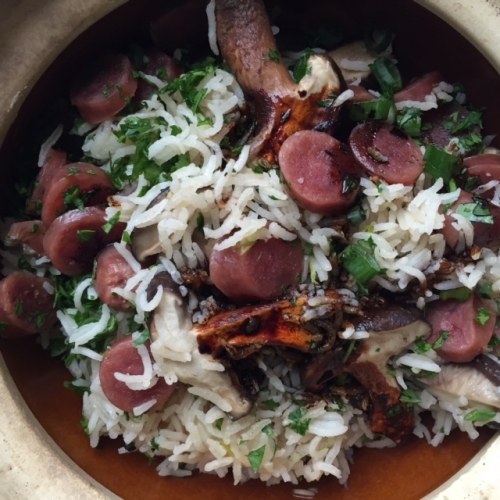 Steamed rice cooked with wind-dried Chinese Sausages. 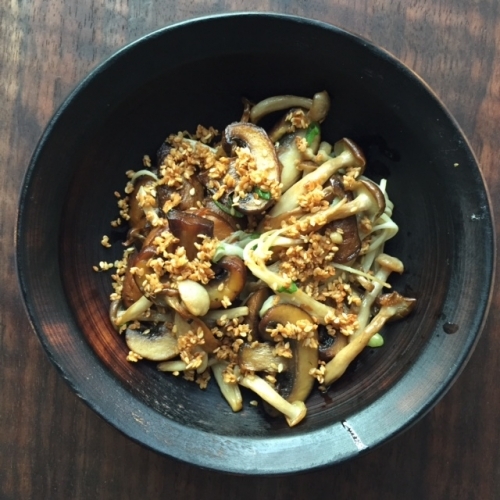 A stir fry of mushrooms with ginger, soy and sesame.